ARM, the software giant hit the headlines when it announced the launch of its latest edition of generation graphics processing units or GPUs. Called the Mali-T600 GPU Series, the units are based on Midgard architecture and promise to give the user a performance that is 50% better than the previous versions even though it is built using the same silicon components. ARM is able to increase efficiency by the optimization of register transfer level (RTL) and enhancements of architectural minutiae. You will be able to see the Mali-T624, Mali-T628 and Mali-T678 on new-age TVs, phones and tablets. The compression technique is a first and is instrumental in bettering the performance of the GPU and of increasing battery life. What this means is a time saving space, where you can leave your system switched on and always connected. This is such an important system that the KhronosGroup, a collection of industry bigwigs has adopted this system, for its focus on openness and an open culture. With the presence of ASTC, the user has visibly better quality in both bit rates and pixels than anything available right now. Each element of the T-600 series is tailor made for specific needs. For instance, Mali-T678 is a welcome addition to the competitive tablet market and the Mali-T624 and Mali-T628 products deliver cutting edge graphics and GPU’s in smartphones and TVs. ARM has capitalized on its presence in the CPU market thanks to its efficient ARM Cortex™ processors and has used the processors in the architecture of Mali GPU. What this means is greater balance between CPU and GPU because the architecture that runs the entire system performs at the highest level of efficiency. This in turn, delivers superlative energy efficiency for all sorts of activities, including those involving numbers. Here are other advantages with the new MALI-T600 GPU. A multidimensional approach ensures different views from numerous positions. Photo editing in real time- You can edit pictures then and there on your phone and hand held device. In certain cases, even video stabilization is possible, making for less-jerk and cleaner, smoother movies. A handheld device fulfills the need for a connection between technology and real life. In such a situation, the experience needs to be optimized to the next extent possible. 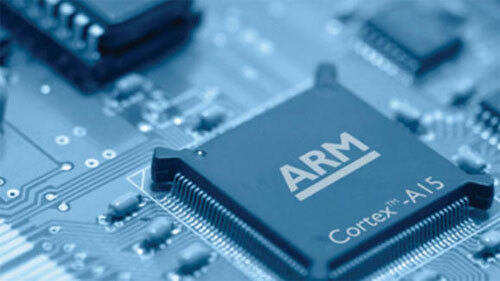 It is great news then that this series will also be added to the ARM SoC. This results in even more improved computing and graphics. The tablet market is a place for innovation and ever new ideas and it is no wonder that the MALI-T600 GPU uses Nufront, built specially for tablet and mobile communication. We must talk a bit about battery performance too. While all these devices are more or less alike in battery efficiency, it makes sense to approach the platforms they perform on differently, with different sensibilities. Ultimately people are looking for unbeatable experience in the devices they use and it is a testimony to ARM that Samsung chooses to use MALI-T600 in the Samsung Exynos processor. We look forward to the MALI-T600 GPU that is all set to hit markets by the end of the year.